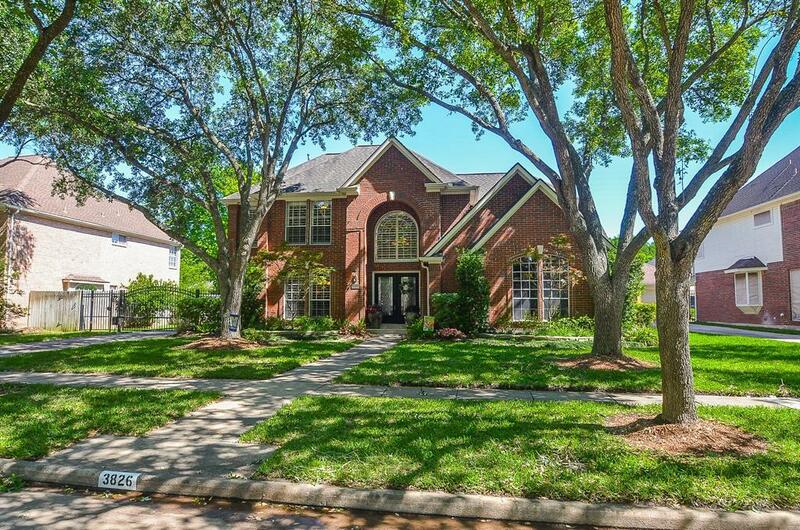 Beautiful home nestled in the trees on quiet cul-de-sac in the highly sought after Oaks of Alcorn. The finest luxury engineered hardwood/oak flooring surely to impress your buyer. Premium quality & gorgeous granite countertops throughout the house. Master bath reconfigured to add large walk-in shower with double shower heads/faucets/block glass window/custom raised cabinetry/all Travertine stone floor/ frameless new glass enclosures. 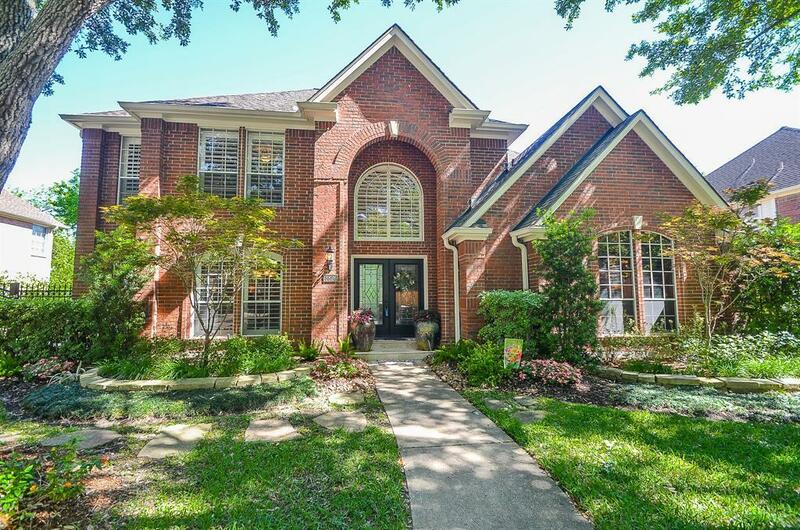 Impressive stained paneled home office and updated hardwood staircase and iron handrails. Oversize picture windows placed in living area overlooking the backyard patio with expansive pavers and gazebo. 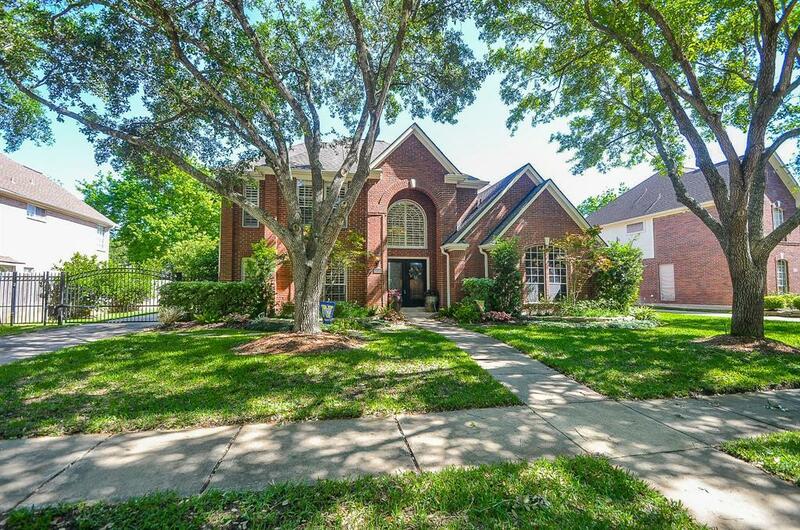 Updated light features ,crown molding & plantation shutters throughout the house. 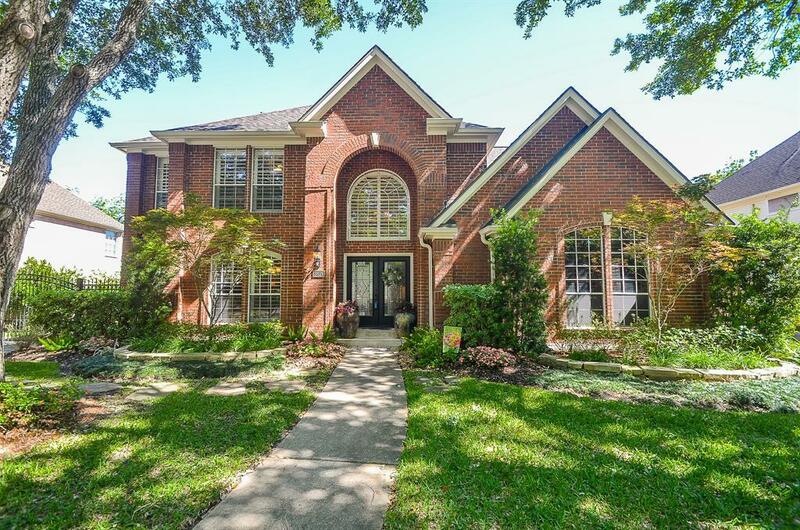 Don't miss the security fence & automatic driveway gate added extra privacy. Zoned to all 3 exemplary schools. Easy access to US-59, First Colony shopping, restaurants and medical facilities. Just steps away from neighborhood greenbelt. Low taxes. Never flooded!